London, 21 August 2007 – Andrew Beveridge, CEO of eCommerce and Online Gaming Regulation and Assurance (eCOGRA) expressed support this week for the UK Gambling Commission’s recently published testing approach for online gambling software. The player protection and standards body chief says his organisation is especially pleased that the Commission has recognised the validity of outcome based testing principles and methodology. “It is encouraging to see that the Commission has officially adopted outcome based testing to assess compliance with their remote gambling technical standards,” Beveridge said. 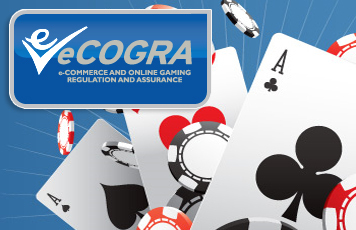 In addition to the outcome based testing, both eCOGRA and the Commission require verification that the development, implementation and maintenance of the gambling software is representative of best practice standards. “It’s worth noting too that eCOGRA goes significantly further than these excellent guidelines in that our RNG (Random Number Generator) testing incorporates every single live gaming transaction on an ongoing basis, and we additionally perform monthly payout percentage testing and routinely publish the results. RNG testing per se actually says little about the fairness of a game – a random game with a 40 percent payout is hardly fair, for example”, he added. Beveridge said that the Commission’s decision on remote gambling testing was a positive event for the industry. “This is the sort of thing we have been applying since eCOGRA started operations almost five years ago, and we know from experience that the principles and methodology is effective,” he said. Responsibility for outcome based testing at eCOGRA lies with a dedicated professional team that operates the organisation’s Total Gaming Transaction Review and the analysis and ongoing monitoring elements that support it. The process is part of eCOGRA’s self-regulation regime for some 118 tier one online gambling casinos and poker rooms that have been accredited by the independent, non-profit body. “Our TGTR work is subject to a regular review by auditors KPMG in London, and we have introduced a full explanation of the process, including graphics at www.ecogra.org/fairness”, Beveridge said. He concludes by saying that he has little doubt that the test regime prescribed by the Commission will have a positive influence on the testing methodologies accepted by other credible licensing jurisdictions. “Hopefully the source code vs. outcome-based testing debate is now finally put to rest!” he said.